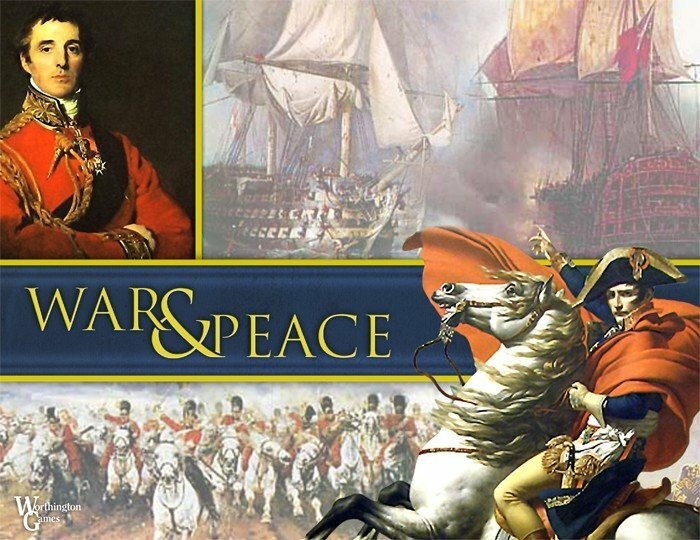 War and Peace is a game that allows players to recreate the fight for Europe from 1805 to 1815. 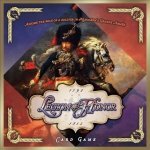 The game is designed for play by two players, one player being the French player and the other player is the British. 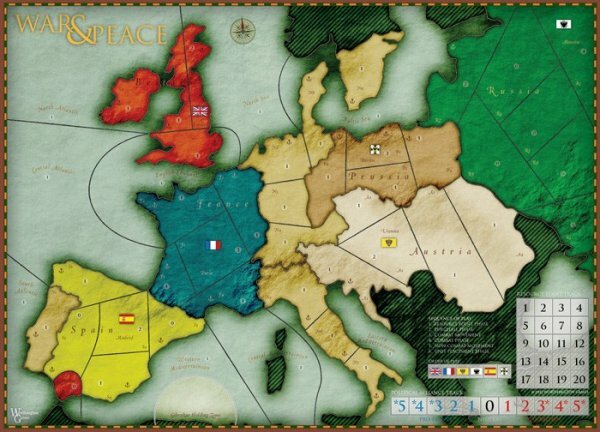 Each player also controls one of the major countries of France, Britain, Austria, Russia, or Spain. Prussia is also in the game but starts neutral. 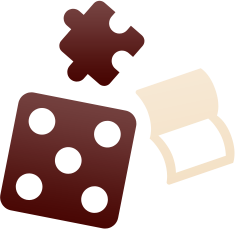 The countries of France, Britain, Russia, Austria, Prussia, and Spain are represented by infantry, artillery, cavalry, naval units. 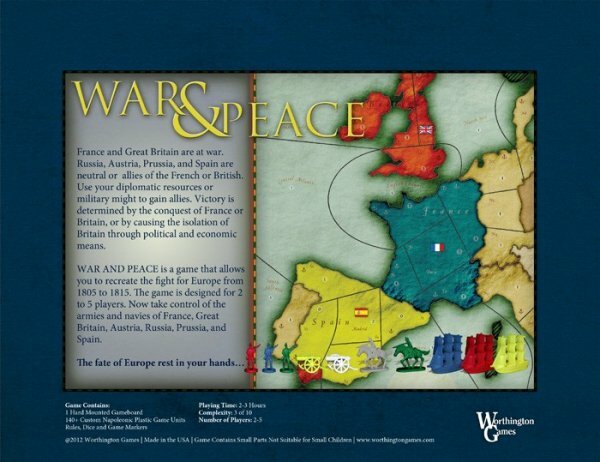 The countries of France and Britain are at war throughout the game. The countries of Russia, Austria, Prussia, and Spain become neutral, conquered neutrals, French allies, or British allies through the use of diplomatic resources or military conquest.